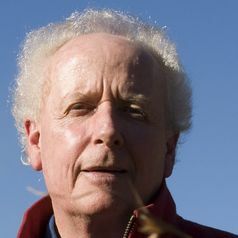 Barney Foran has degrees in agriculture and ecology which led to professional eras spanning rangeland ecology, agricultural systems, environmental science and long term analysis of Australia’s physical economy. He led research teams in CSIRO’s Resource Futures group which produced long term analyses of Australia’s physical economy focusing on human population (Future Dilemmas), marine fisheries (Fish Futures), land and water (Decision Points) and a triple bottom line analysis of the Australian economy (Balancing Act). Linkages between the big picture sustainability issues of energy, greenhouse, human population, lifestyle, water, biodiversity and land use are major interests. The current focus is future designs for Australia’s economy that will ensure moderate rates of economic productivity and energy security combined with the rapid transition to a low carbon economy. The Powerful Choices study testing some of these options was released in 2009 by the now defunct Land and Water Australia R&D agency. He is now an adjunct research fellow at the Institute of Land Water and Society at Charles Sturt University in Albury and with the Integrated Sustainability Analysis group at Sydney University.